Want to coach a college team? We’ll fund you! The ACBL Educational Foundation and the American Contract Bridge League are partnering to grow bridge on college campuses. We want to bring the joy and benefits of bridge to more schools and students. We’ll help with bridge supplies, coaching stipends and free ACBL first year Junior Memberships. Work with a team of faculty, students and administrators interested in hosting a college bridge club or team. The coach may also be a local volunteer. 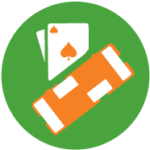 ACBL can provide a bridge kit with cards, bidding boxes, boards, instructor materials, etc., as the program starts. 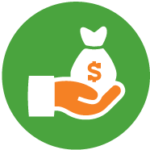 Receive a stipend of $350 at the end of each semester (annual total = $700), after a brief progress report is approved. Aim at recruiting 10 students in the first three months. 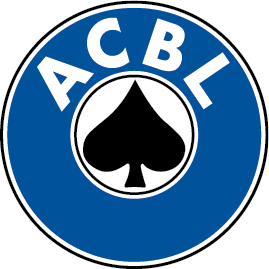 All participants should be ACBL members (we’ll refund the membership fee for new members under 26). 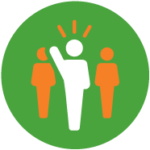 Identify student leaders to assist with club formation, recruitment and scheduling. Do you volunteer at the local unit? Do you play with a college professor? Would you like to mentor students? Want to fund your alma mater’s bridge club? 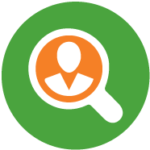 APPLY NOW to become a Coach! Questions or suggestions? Contact us at college@acbl.org. An exclusive — and totally free! — bridge club just for college students, powered by BBO. Compete with students from all of North America in daily 8 board tournaments, and win Masterpoints® and prizes in our twice a month special tournaments. REGISTER NOW! Whether you’re part of a team or a partnership, you could play your way to the Collegiate Bridge Bowl. ACBL and the ACBL Educational Foundation will award travel packages to six college teams and 11 college pairs in 2019. You’ll journey to fabulous Las Vegas this summer, meet other college players and compete for thousands of dollars in scholarships!